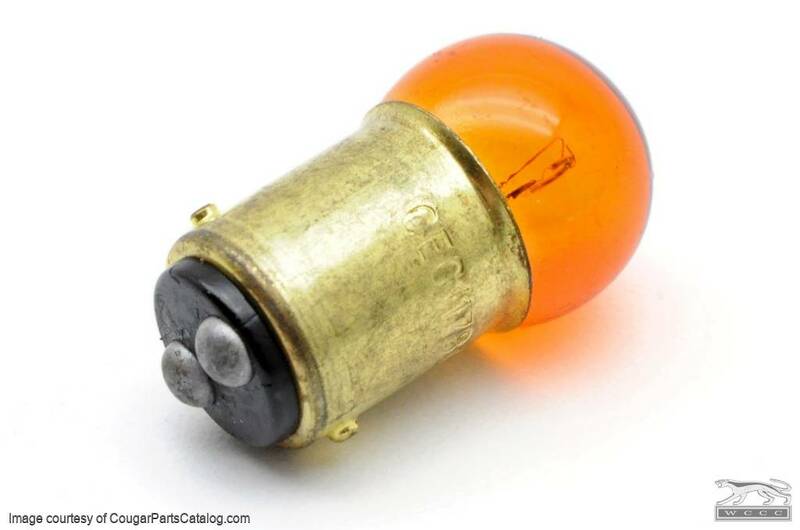 These amber colored bulbs are getting very hard to come by these days. 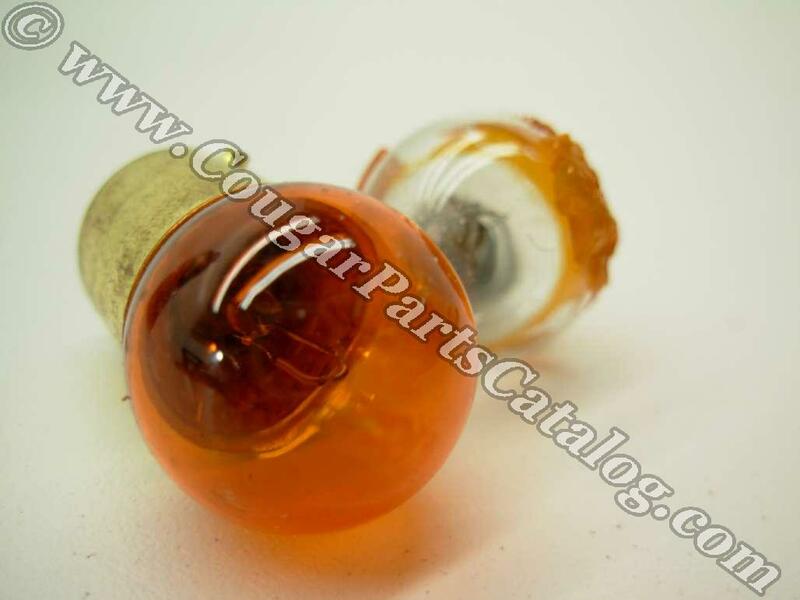 Even the lesser quality painted amber bulbs have not been available from auto parts stores for over a decade now. If you search around you will see that some vendors retail these at over $5.00 each plus shipping! 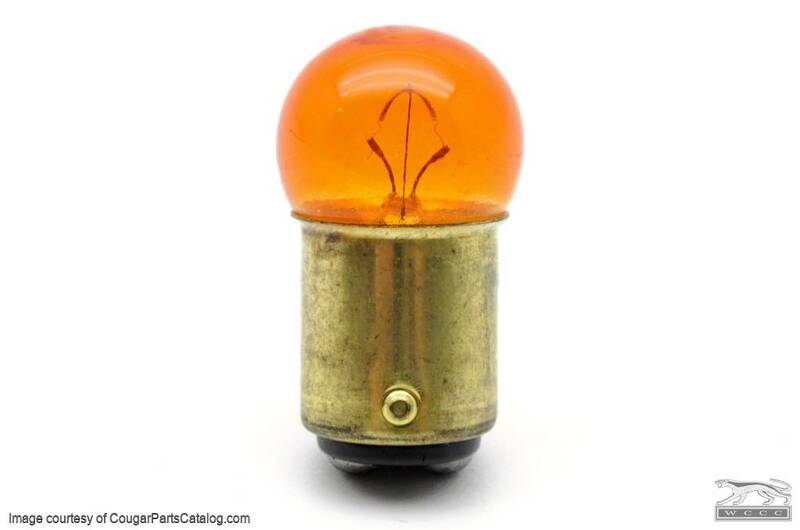 We have a limited supply of these bulbs, so you may want to get an extra pair. 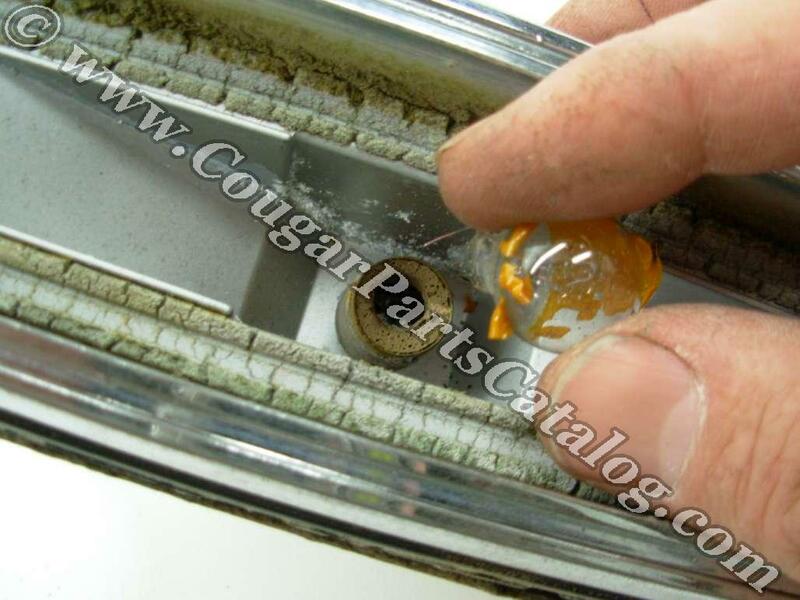 The 1968 Ford manuals call for a 97n bulb, but that is an error believe it or not. Sold individually and two are required per car. 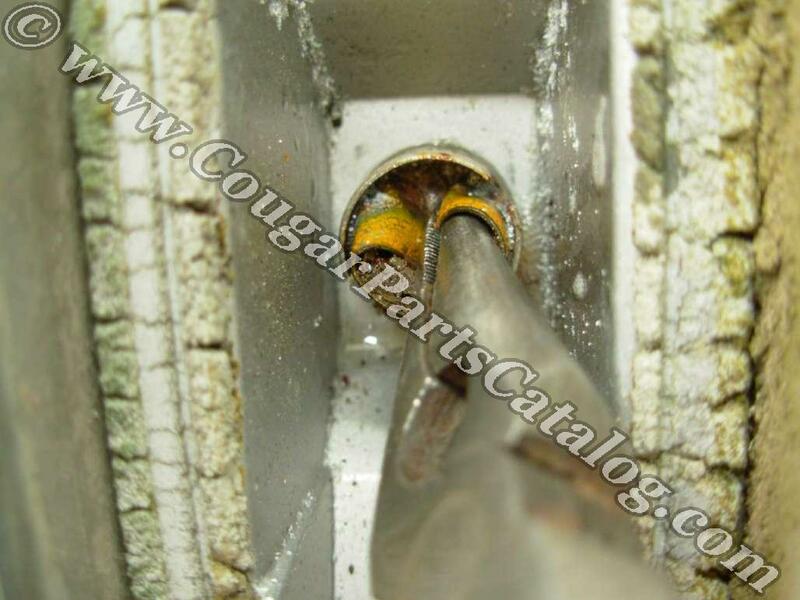 This bulb is referred to as an 1178A or 1178NA (Ford dococuments refer to it incorrectly as 97N or 97NA). 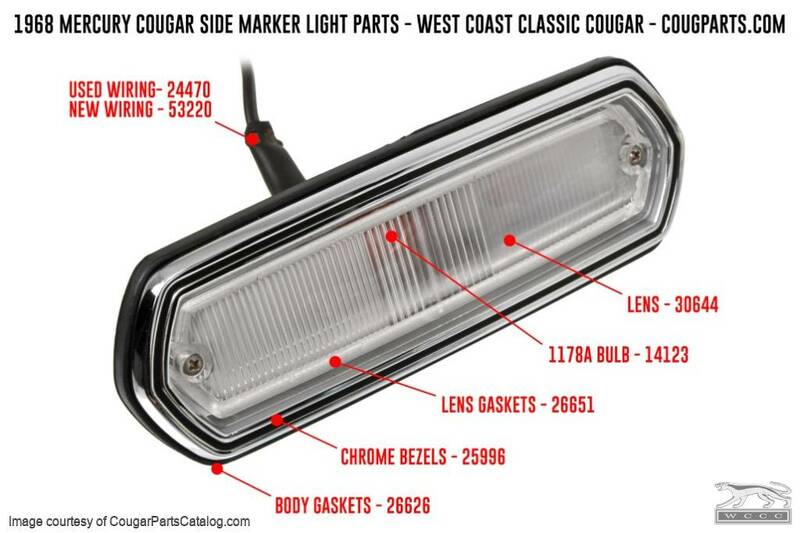 Replaces Ford part # C8ZZ-13466-A. 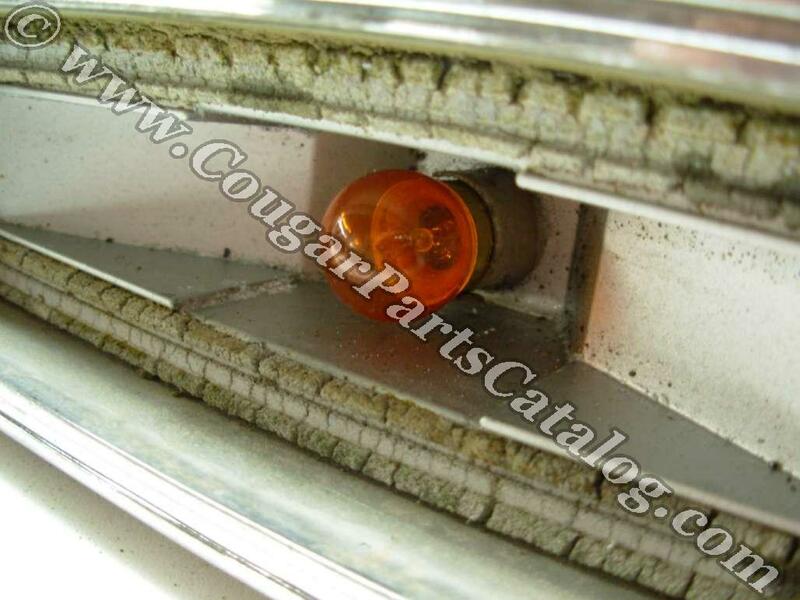 Here is a picture of the 1968 Mercury Cougar / Cyclone side marker light with the more commonly found painted version of the 1178A. Notice how the paint is coming off. This is what almost always happens when you try to push in and turn for removal. 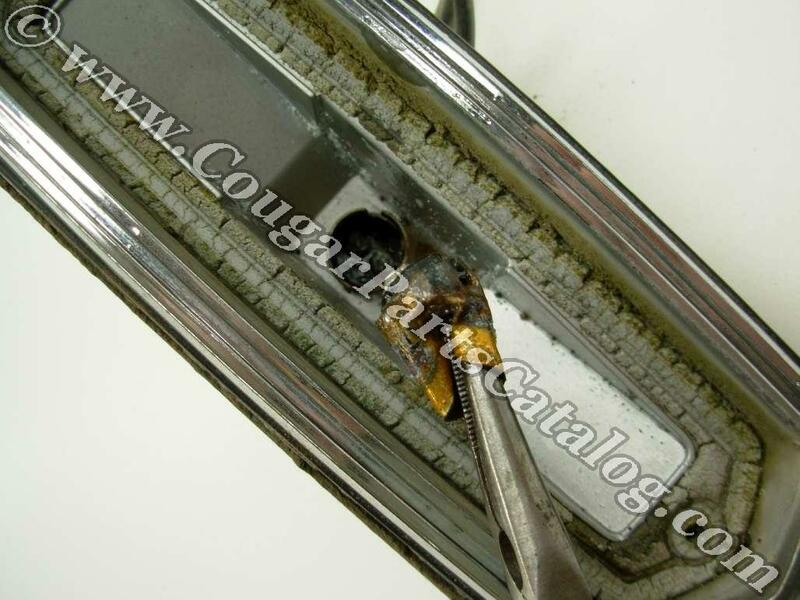 Have no fear... A little WD-40 and a pair of needle nose pliers will dislodge the remainder. Just twist and wiggle, it will come out! 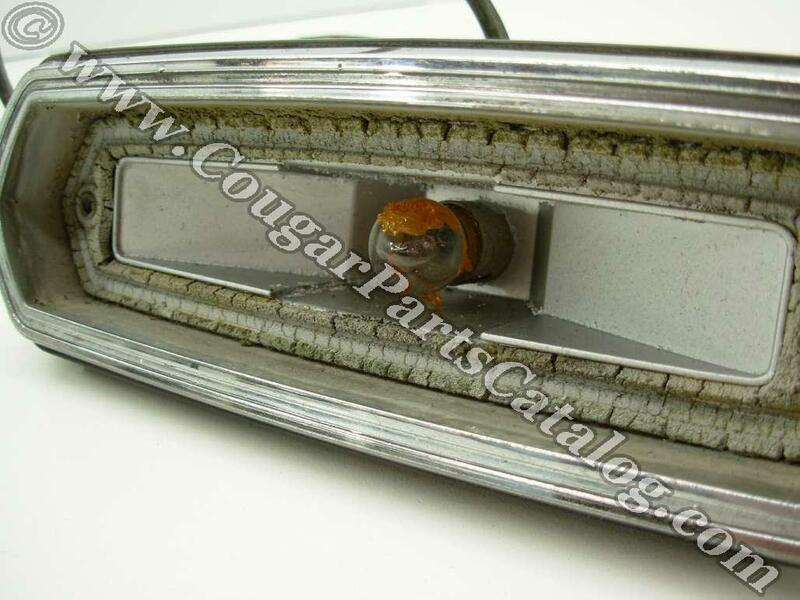 Turn on your turn signals and look through your frosted lens. Almost all the old Fords we see these days have the painted bulbs. 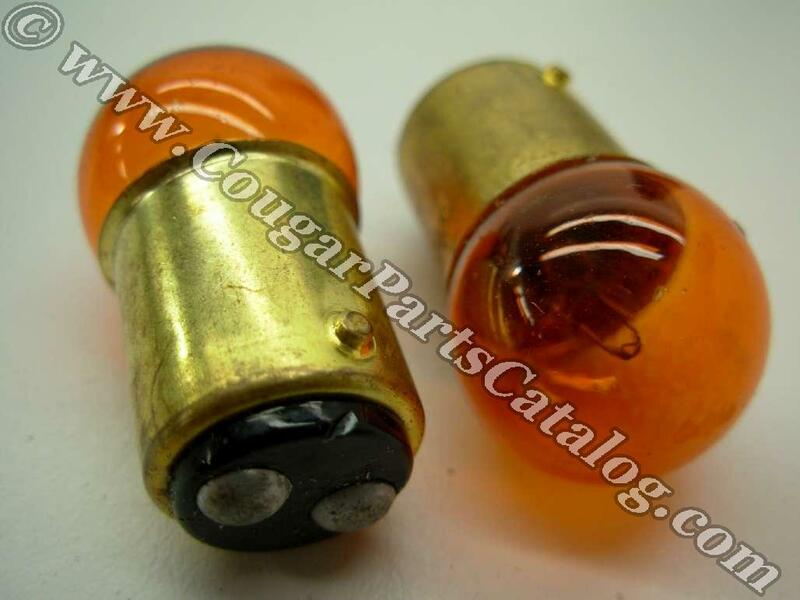 These amber bulbs illuminate much more attractively in our opinion. This last picture shows the painted bulb in the background. The paint usually only lasts a few years before peeling. I had a hard time finding these anywhere locally and online. I am glad WCCC had them. These are really hard to find, so I was glad to find them here. My originals were painted and the paint was peeling off. I couldn't find replacements from anywhere locally. These are nice quality and perfect fit replacements.